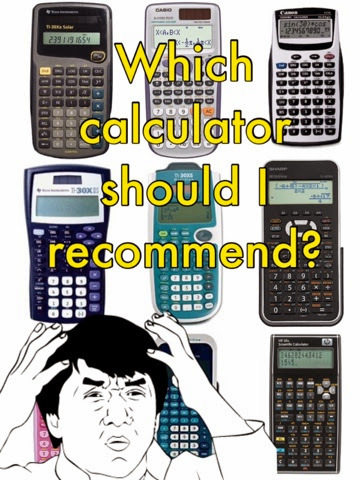 Tops on the list of any middle or high school math class is always (at least) a scientific calculator. There are, of course, many makes and models for a price range of $1 to $25. 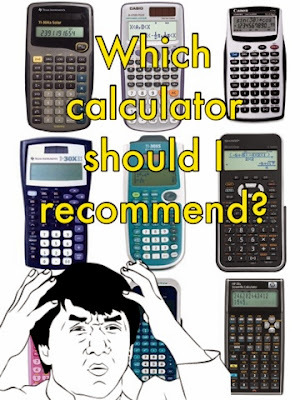 Parents often ask at summer house, "Which calculator does my child need?" This is a nuanced question for me because the answer often depends on the course and the student, and the family budget (or lack thereof) for such things. 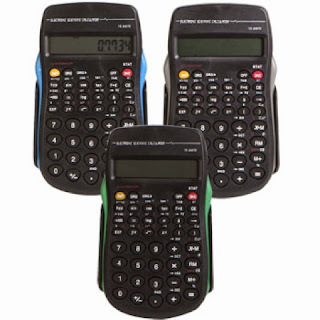 In a best case scenario, I would hope a kid could have a multi-view display that allows for entering data in tables and editing matrices, like this TI-36X Pro (http://www.officemax.com/technology/calculators-accessories/scientific-calculators/product-prod3490004). It does all the work the average student would do with a graphing calculator except for the actual graphing. (Which may be good or bad, depending on your beliefs on students doing graphs by hand). I do not, however, suggest this for everyone, because if the student is prone to losing supplies, once its lost, there's probably just going to be a longer period of time until a replacement is purchased. For the most lost/stolen inclined, i usually recommend they go to Dollar Tree and pick up SEVERAL, so they can stockpile extras. (Buy 'em by the case online! http://www.dollartree.com/Jot-10-Digit-Scientific-Calculators/p339865/index.pro) They're obviously less functional and durable, but its far more often I see calculators lost before broken from usual wear and tear. So, quality or quantity? Which do I recommend? 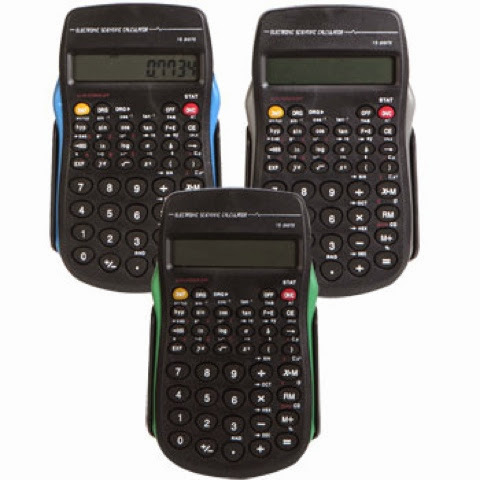 If the likelihood of your student's calculator being lost/stolen/damaged is pretty high, I do suggest going the bulk route via the $1 models at Dollar Tree. I'd thrown in a if-you-keep-this-until-November-we'll-buy-you-something-better condition, too, because they really are better off with the 2-line display.